With Smaug the Dragon defeated and the Dwarves of Erebor returning to their ancient mansion, the land east of Mirkwood resounds once more with the din of hammer on anvil. King Bard has completed the rebuilding of Dale, City of Bells. The furnaces of the Lonely Mountain are relit, and the toy-market is reopened. Travellers, merchants and adventurers turn North once again to seek their fortunes, as hope returns to Wilderland. 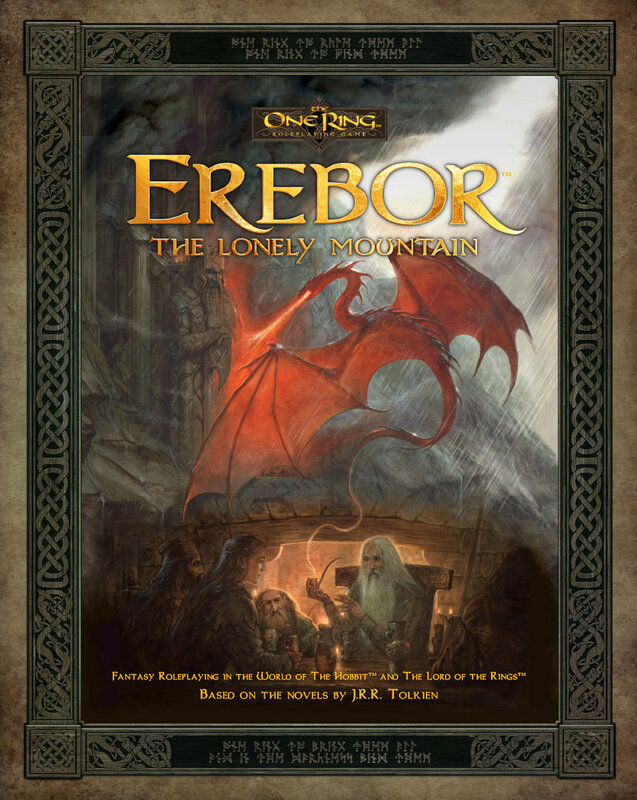 Packed with new information on some of the best-known locales and characters described in The Hobbit, this invaluable guide, aimed to players and Loremasters alike, describes the Dwarf-hold of Erebor, the city of Dale, the surrounding regions, and the many different activities to undertake there. Also included are new rules for Dragons, Dwarven artefacts and the art of their making, as well as two brand-new playable cultures – The mail-clad Dwarves of the Iron Hills and the wandering Dwarves of the Grey Mountains. Behold the majesty of The Great Chamber of Thrór, marvel at ancient tales of the War of Orcs and Dwarves, experience the hustle and bustle of the River Road in Dale, commission a smith of Anvil Way, visit the ravens and venture into The Waste. Erebor and Dale await!